For better performance of our blog we need to optimize it for better SEO. A better SEO is also needed to get organic traffic from search engines. 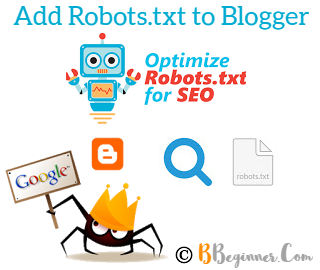 One great step towards a better SEO is adding robots.txt file to your blog. It tells the search engines crawlers about what page to crawl and what not to. 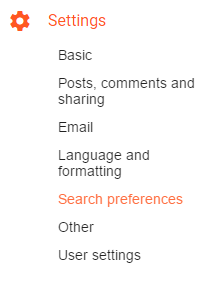 In Blogger (Blogspot) we have the option to customize the robots.txt file according to our needs. But before adding it to your blog firstly as a beginner we need to know about what is robots.txt file. So lets start the tutorial. Robots.txt is a file which tells the search engine crawlers what page to crawl and what not to. Simply, you can exempt your blog demo pages, label pages, archive pages and other which you don't consider as important. Search engine crawlers always scan the robots.txt file before crawling any blog. So lets start adding this great SEO improver to your blog. Also Check : How to Change Blogger (Blogspot) Favicon? Go to your blogger blog. Now paste the below robots.txt file code in the box. Remember to change the highlighted url (example.blogspot.com) with your blog address. How to Check Your Robots.txt File? I hope you all easily added the custom robots.txt file in your blog. If you have any query regarding any of the blogspot tutorial, drop a comment below. Yes! You can use your domain.blogspot.com in the sitemap url of robots.txt file. Is this my site map? why we have to Disallow: /search ?? Thanks for your good work. You are really a good teacher. Please I did that but it showed me only the ads on the blog. Wow Such a great Blog. I thought that it was exceptionally helpful. I discovered this which is exceptionally utilize full. Extraordinary article and data continue sharing more! Love yours blog. Heap of Thanks. Thanks for write this awesome information for blogspot SEO. 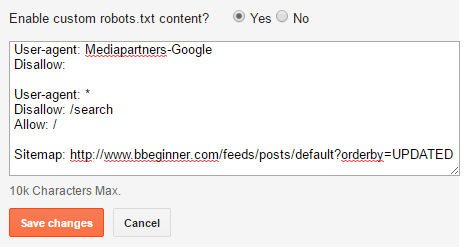 After reading your post, I also write an awesome article as blogger robots.txt. You also can see my post. is it helpful to get a back-link if i add my blog address here? How can i link my blog with other blogs to get updated. how can i allow other bloggers to share post into my blog.